Listen to Richard Emmons read “The Last Radicals” which appeared on National Review Online in 2012. This article was originally published on National Review Online but it has since been removed. You can listen to it here or read the article below. 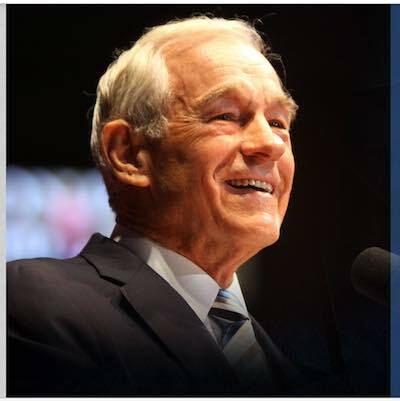 Then head over to www.RonPaulCourses.com to view all the Ron Paul Curriculum courses. You can watch the first 5 lessons of every course and learn more about how each course is taught. In the public imagination, homeschooling has a distinctly conservative and Evangelical odor about it, but it was not always so. The modern homeschooling movement really has its roots in 1960s countercultural tendencies; along with A Love Supreme, it may represent the only worthwhile cultural product of that era. The movement’s urtext is Summerhill: A Radical Approach to Child Rearing, by A. S. Neill, which sold millions of copies in the 1960s and 1970s. Neill was the headmaster of an English school organized (to the extent that it was organized) around neo-Freudian psychotherapeutic notions and Marxian ideas about the nature of power relationships in society. He looked forward to the day when conventional religion would wither away — “Most of our religious practices are a sham,” he declared — and in general had about as little in common with what most people regard as the typical homeschooler as it is possible to have. The problem is not educational outcomes: Students in the Seton program tend to score on average in the 80th percentile on standardized tests. The problem is that progressives operate as though the state owned children as joint property. Dana Goldstein, writing in Slate, urged her fellow progressives to resist the temptation to homeschool, arguing that the practice is “fundamentally illiberal” and asking incredulously: “Could such a go-it-alone ideology ever be truly progressive?” She went on to argue that the children of high-achieving parents amount to public goods because of peer effects — poor students do better when mixed with better-off peers — meaning that “when college-educated parents pull their kids out of public schools, whether for private school or homeschooling, they make it harder for less-advantaged children to thrive.” She does not extend that analysis to its logical conclusion: that conscientious, educated liberals should enroll their children in the very worst public schools they can find in order to maximize the public good. The numbers are against them, but West, Goldstein, and like-minded critics still bristle with hostility at homeschooling. There are three related reasons for that. The second reason for this hostility is that while there is a growing number of secular, progressive, organic-quinoa-consuming homeschool families, there remains a significant conservative and Christian component. The reasons for progressive hostility to conservative Christians are many and complex, but one of them is that, like the homeschool, the church is something outside of government control, a forum that the triple constitutional protections of religion, free speech, and association place beyond the range of Leviathan’s leash. Progressives are by their nature monopolists, and the churches constitute real competing centers of power in society. Americans are dissatisfied with many things: Congress, insurance companies, Wall Street, the media. Many are dissatisfied with the government schools, too, and homeschooling has given them an opportunity to do something about that, taking matters into their own hands. They could do the same thing with health insurance and banking, as well, were the legal environment liberal enough. As its critics best appreciate, homeschooling is about more than schooling. The Tea Party and the Ron Paul movement are in some ways the conservative flipside of Occupy, albeit with better manners, more coherent ideas, and higher standards of personal hygiene. They comprise conservatives on the verge of despair at trying to achieve real social change through the process of electoral politics and the familiar machinery of party and poll, with its narrow scope of action, uncertain prospects, and impermanent victories. There is a different model for reform being practiced in more than 1 million American households, by people of wildly different political and religious orientations. Homeschooling represents a kind of libertarian impulse, but of a different sort: It is not about money. Homeschooling families pay their taxes to support local public schools, like any other family — which is to say, begrudgingly in many cases — and the movement does not seek the abolition of local government-education monopolies. (It should.) Homeschooling families simply choose not to participate in the system — or, if they do, to participate in it on their own terms. And that is a step too far for the Hobbesian progressives, who view politics as a constant contest between the State and the State of Nature, as though the entire world were on a sliding scale between Sweden and Somalia. Homeschoolers may have many different and incompatible political beliefs, but they all implicitly share an opinion about the bureaucrats: They don’t need them — not always, not as much as the bureaucrats think. That’s what makes them radical and, to those with a certain view of the world, terrifying.